CAP (Coordination des Associations et des Particuliers pour la Liberté de Conscience – Coordination of Associations and Individuals for Freedom of Conscience) is an association created in 2000 to unite minority religions in Europe to counter discrimination concerning the right to freedom of conscience and belief and to alert the public to acts and speech violating human rights or which are threats to fundamental liberties. 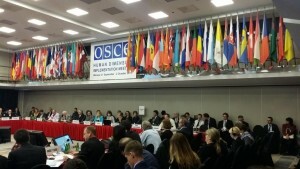 The OSCE Conference on Freedom of Religion and Belief, Fostering Mutual Respect and Understanding is welcomed and timely. There has been a rise in incidents of discrimination, and intolerance toward members of religious minorities in the OSCE region that merit attention. Belgium is one country that interferes with the right to freedom of belief. The Belgian state has accomplished this by allowing the suppression of the right to freedom of belief by its intelligence service, Belgian State Security, which conducts activities fueling hatred and intolerance towards members of minority groups derogatorily designated as “sects”. The government’s campaign of intolerance targeting “sects’ has resulted in the illegal monitoring of members of minority religions, simply due to their religious association and beliefs. State intelligence services in most other countries do not engage in investigation of peaceful religious organizations. Belgian State Security is one of the few intelligence agencies in the world that continues to monitor, investigate and target “sects” – something countries engaged in the suppression of religious freedom like China specialize in. Recently, a new book entitled State Security Secrets, by Lars Bove’, exposed Belgian State Security intelligence activities targeting so-called “sects” from the 1970s to the present, including the monitoring of a group that does nothing more than offer yoga courses throughout the country. While researching his book, Mr. Bove’ was provided secret reports, apparently by State Security officials, on the Scientology religion. 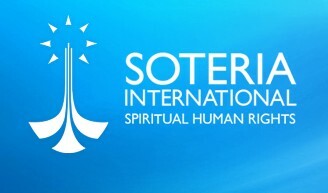 These reports revealed that although Belgian State Security had been intensively monitoring Scientology organizations and parishioners in Belgium since 1970, it had utterly failed to find any evidence whatsoever of improper activity that could be characterized as a threat to the security of Belgium. Yet, Belgian Security services instigated cancellation of Government contracts with at least one private communications company because the company was thought to include people who were also members of the Church of Scientology. 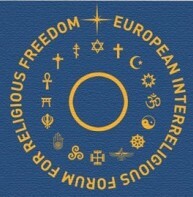 The book also details the contents of Security Services reports which were leaked to the press as part of ongoing official attempts to discredit the Church, which included details of private meetings members of the Church had had with Belgian politicians, even though there was nothing remotely illegal about these meetings. Over four decades of monitoring and surveillance and nothing to show for it except intrusion into the right to religious freedom and the fostering of intolerance and suspicion against peaceful and lawful religions. In this day, when serious acts of terrorism threaten countries throughout the world, Belgian State Security and the Ministry of Justice should cease and desist from initiating worthless investigations intruding on the rights of peaceful religious minorities.